In the Southwest, a little moisture and elevation change can make all the difference, as shown by the sandstone and juniper of the canyon rim contrasted with the golden cottonwoods along the meandering wash below. On the high sandstone, wildlife look for rainwater trapped in pockets. Early inhabitants and pioneers also relied on them. 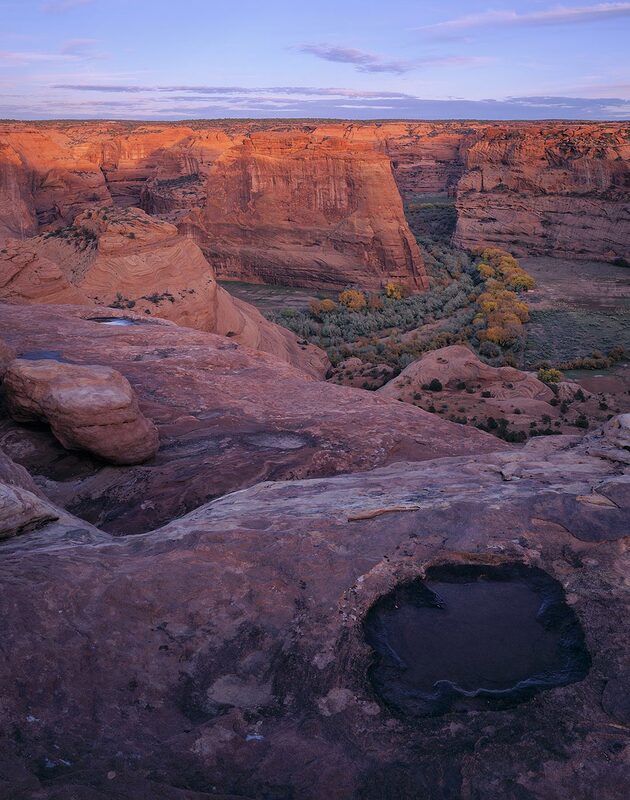 This canyon has sustained people for thousands of years, from ancient cliff-dwellers to the current Navajo residents.